Yup, finally broke down and bought a tablet. I decided to when I saw an ad that it was $100 off at a store I’d rather not mention. Why? Because I don’t like “that store” at all, but $50 less than anywhere else had it priced on sale was enough to make me tolerate going inside “that place.” No, it wasn’t Walmart. It’s one of those big box electronic stores, but all they care about is up-selling, not really helping the person get what they want and caring about what their needs are. But since I know quite a bit more than the average buyer, it’s easy for me to tell the obnoxious employee to go…. away. The nice ones I may chat with, though, if I’m in a geekie mood. Anyway, enough of that. So why an Android and why this one? Because I love the phone I bought back during the summer, the Samsung Galaxy S3. I have never been happier with a cell phone than I am with this one. I figured I couldn’t go wrong with the Samsung Galaxy Tab 2 10.1 Wi-Fi 16GB. It’s a larger version of my phone, and the reviews I have read show that most are very impressed with the screen quality. The purpose of my tablet is purely for fun. When I do occasionally travel, or will be away from home for a while, it will come in handy to have on hand to keep up on email, both personal and work. Sure, I can access this all from my phone, but the larger screen is a big plus. My eyes are starting to go and seeing text on the phone is sometimes difficult for me. Is it fast? Well, I have nothing prior to compare it to since I have never owned or even used a tablet before, or an iPad, but it’s fast enough. Nothing can compare to my desktop with it’s i7 processor and 16GB of RAM. My Galaxy S3 (phone) was a huge improvement from my Cliq I had prior so I am not disappointed with the speed of my phone – in fact, I’m still impressed and have had it several months now. Although I did have a bit higher expectations for the tablet – but that is simply because I keep comparing it to a laptop, and it is not a laptop. It uses an Android OS, not Windows, or Mac, or Ubuntu – although Android is a Linux-based OS, which Ubuntu is a Linux OS. Basically, a big phone without the phone calls (yes!! – I hate the phone). When I put it back in perspective, I’m quite content. I have easily linked my desktop, phone and tablet all together via Google. THAT is a major plus. All my bookmarks to my sites are on my tablet now and all I had to do was log into Chrome and request the sync. My password program is linked as well, so when I add a new password on my desktop, it syncs to my tablet. FYI… I use Keypass and recommend this to everyone. An excellent way to store passwords, and I allow it to generate them for me at the maximum length allowed. So I have passwords that are 16 characters long made out of a combo of letters, numbers and special characters. And not the same password for any two accounts. The hardest adjustment I am working through is no mouse therefore no “right click” to a context menu. And I keep wanting to reduce the size of the window on my screen so I can pull up another app and change the size so I can see them both like I do on my monitors. I often have between 8 to 10 windows all viewable at the same time on my desktop just by carefully resizing each. Well, that function is just not available (yet) on a tablet. 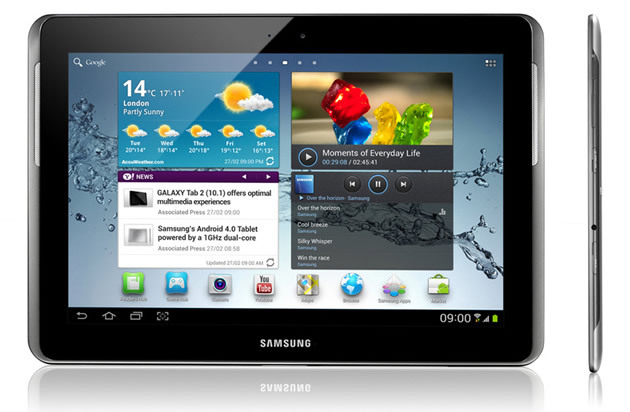 Please tell me how you like the samsung tablet and if it was worth the money. I do like it, and it was worth it for me. But I bought it purely to play android games with. If I was going to do website work or even simple graphics, no, it wouldn’t work for me. I have to have a mouse or pen for that. There was a free app which mimics Word, Excel, and Power Point and I dinked around in it for a few minutes and seems to be pretty nice if I need to work on a file like that. So, either for fun and work only while en route it’s great. But if this was the primary system to use for working, no. Laptop is better. have you seen the ads for 3 different computer companies that have a combination lap top/tablet? They look so cool, but I imagine they might be a bit fragile. I’m hard on laptops and tablets it seems. I’m a big fan of Samsung products, but no tablet yet. I just can’t see spending the money when I’m home all the time with a computer. I’m also a big fan of self-gifting in December. You won’t see better prices, and if there’s something you’ve been craving anyway … now’s the time. Especially if it’s something no one is likely give you for Christmas. I really don’t have family to gift with anyway. They’ve all grown and moved around the country, and grown apart. And in loving electronics, heck yeah. I have no problem with buying some new geek toy for myself. I thought the same as you, that I’m at home on a computer all day. Why would I need something like that? Then I bought my phone. And I love the game apps, and they’re Android-only games since they require a touch screen. Immediately addicted to a word game called “Word Hero.” When I realized this tablet is a bigger version of my phone, and found it $100 off, I couldn’t get there fast enough. Great video…very clear and sharp. Thanks. Yes it is. Was very impressed with the quality. I just now installed the WordPress app and connected to this site. Damn… the app is very impressive. I still dont think I will post from here as typing with a touch screen is a pain. I dont have any desire to use a keyboard accessory. But this app is excellent on keeping up with my sites. Your comment notification came through nicely. Glad it is doing what you need it to do. I am going to investigate the tablet/laptop combo and see if I like that option. Let me know what you think. If you plan on doing a bit more work than I am with my tablet, that will probably be the wiser choice. I can’t imagine working on a tablet. Asus 10.1″ android google certified slider tablet with built in keyboard and app suite….this looks very good. Looks nice! Also looks sold out in several places, like Tiger Direct. Well, they have refurbished in stock, but please, do not get refurbished tablets or laptops. Only desktops. Well, desktops are not too bad. If money is tight, for a kid, a back up at work, etc. But never a laptop/tablet. A desktop is typically refurbished because a part was bad. So it’s been replaced and probably will never happen again. But portable devices can be dropped and you’d never know. My boss bought a refurb desktop and it has worked like a charm. But it is always a gamble. If it’s changing size, which happens to me on occasion, too, then while you’re scrolling you’ve probably lightly – and inadvertently, tapped the screen twice. I know what I try to fly through my scroll, this happens. When I slow myself down, press my finger firmly – but not too hard – the slide it down, the scroll works fine without changing it’s size.